I LOVE these! 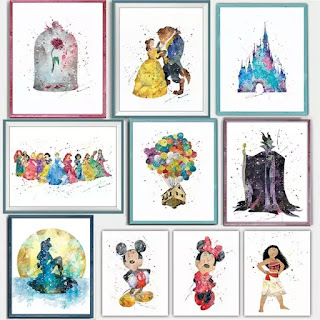 Head over to get one (or a few...) of these Enchanted Character Art Prints for ONLY $3.23 (Retail $10)! I have a few of these prints and I LOVE them! They make great gifts...they're adorable and durable! The original Fairy Tales and Tiaras oh my!... All their favorites to add a pop of color and character their kingdoms. Perfect for themed rooms or birthday party decor! These adorable designs done with whimsical bold watercolors will have your little's wiggling and giggling with delight at a price you will delight in! Crafted in rich impressionistic &amp; whimsical watercolor &amp; splatter styles, these beloved hand done stylistic prints are intended to look as such, which adds to their uniqueness.